The award-winning team of Abraham Silberschatz, Peter Galvin, and Greg Gagne gets system administrators right up to speed on all the key concepts of computer operating systems. This new edition gives them a thorough theoretical foundation that they can apply to a wide variety of systems as they progress to the next level of their computer work. The award-winning team of Abraham Silberschatz, Peter Galvin, and Greg Gagne gets system administrators right up to speed on all the key concepts of computer operating systems. 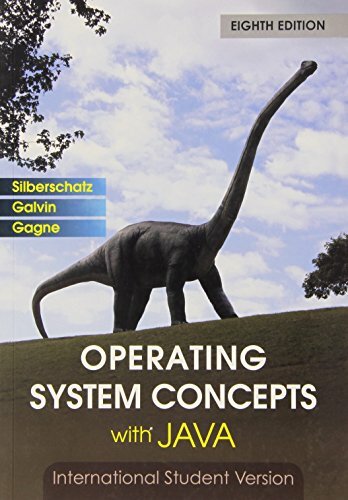 This new edition gives them a thorough theoretical foundation that they can apply to a wide variety of systems as they progress to the next level of their computer work. It presents several new Java example programs including features in Java 7. Increased coverage is offered on user perspective, OS design, security, and distributed programming. New exercises are also provided to reinforce the concepts and enable system administrators to design with confidence.